A visually impaired woman named Kathleen Sypert slapped several businesses with an Internet law claim over “multiple access barriers” on their websites. Well, we don’t have all the facts, but Title III of the Americans with Disabilities Act “prohibits discrimination on the basis of disability in the activities of places of public accommodations.” And according to U.S. case law, websites are considered public spaces. So, if you haven’t given much thought to how people with disabilities interact with your site, it’s probably time to do so. 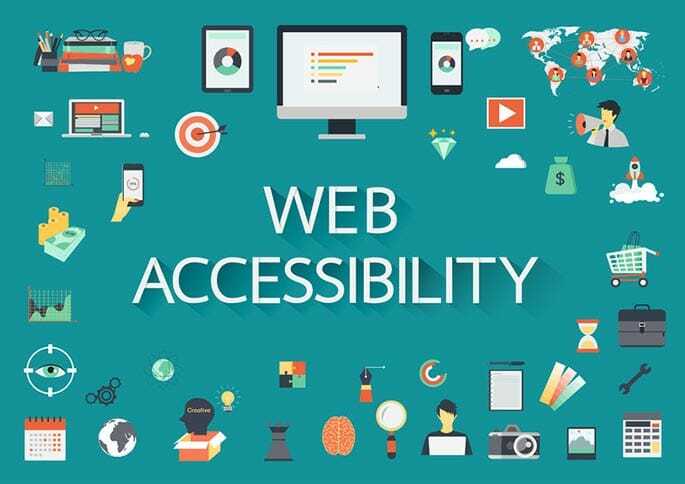 Website accessibility refers to code and design features that help users with physical disabilities navigate a site. For example: Can screen readers, often used by people with visual impairments, navigate your site properly? Do the graphics on your website include descriptive “alt” tags that enhance the experience for blind people? For a full list of website accessibility points, head here. People who file website accessibility lawsuits typically aren’t looking for money. They simply want businesses to comply with Title III of the ADA. If, however, a matter makes it to court, legal fees and punitive damages can add up. So, the best — and most economical — bet is to update your website before an accessibility lawsuit lands on your doorstep. Gordon Law Group works with startups, established businesses, and individual entrepreneurs on Internet law matters, like website accessibility, online privacy compliance, digital intellectual property, and online promotions, in addition to domestic and international e-commerce concerns. If you want to read more about Internet law issues, head over to that section of our website. Ready to speak with an Internet law attorney about an issue? Get in touch today!